View of the Boston City Hall from Fanueil Hall. 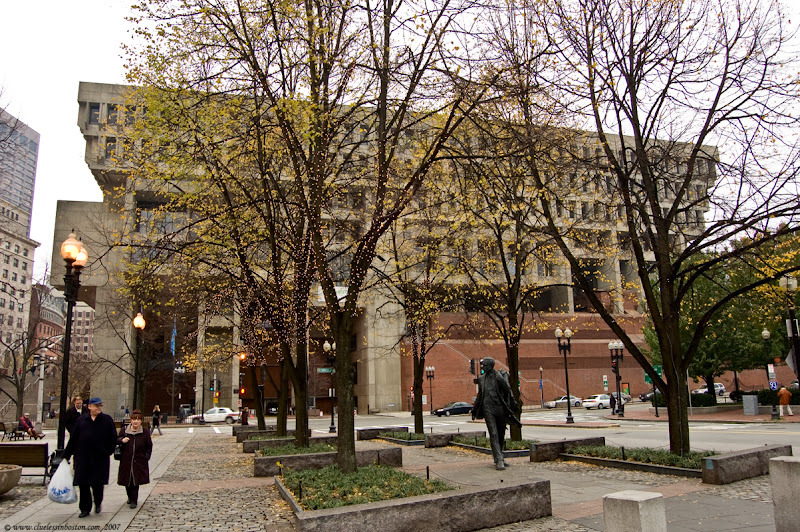 In the foreground is a statue of former four term Boston mayor, Kevin White. oh great! so we posted both city halls: check out Vienna! have a great Friday! Would love to see it in detail, but it doesn't enlarge. Do you know why? Hi Fenix, for some reason it wants to download, not display in the browser window. I haven't figured out why it is doing that yet. You made that ugly thing look good! :) Lovely scene you've captured there (I am very fond of that statue). If you don't mind sharing, what caused the problem with this photo and how did you fix it?